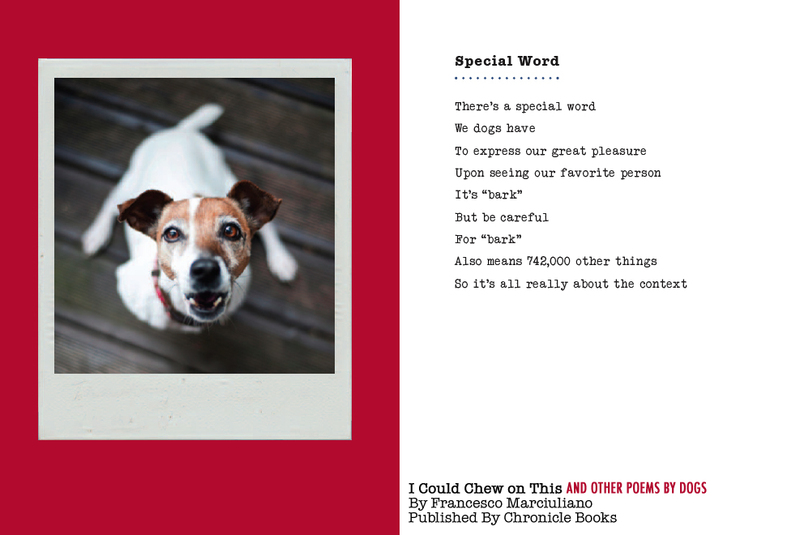 “Thanks to an unprecedented–and unaccredited–writing program, dogs everywhere are exposing their true inner lives through the power of poetry.” So opens, I Could Chew on This: And Other Poems by Dogs, by Francesco Marciuliano, a delightful literary indulgence for dog lovers. It’s a terrific gimmick. An impulse buy for yourself or a gift for that special someone you don’t know what to get for but you know they like dogs so this will do. Good choice. Seriously, I enjoyed this book more than I probably should have. 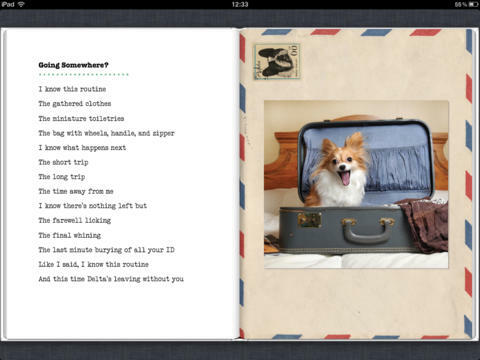 With a collection of poems told from the dogs’ perspective and matching photos of adorable canines, how could you not love this book? Oh, you’re a cat person. In which case, there are books in the series for you, too. 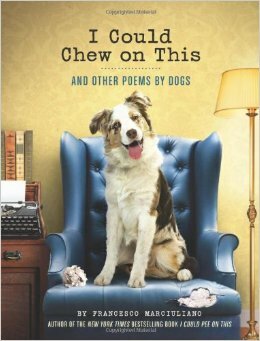 This entry was posted in book reviews and tagged A Book Review for Dog Lovers, Francesco Marciuliano, I Could Chew on This: And Other Poems by Dogs, let's talk about books baby, Mary Lamphere, Thanks Aunt Rosemary!. Bookmark the permalink.